To report an absence please call 01793 426973 and leave a message. I am fortunate to lead this successful and happy academy with our hard working, enthusiastic students, ambitious staff, supportive parents and committed governors. We are all very proud of our academy and its successes. 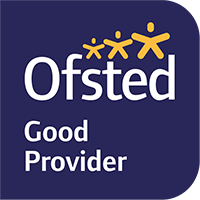 In May 2017, Ofsted judged our academy as ‘Good’ in all areas. We offer funded Nursery provision and a thriving Primary Phase. We are also very proud of our greatly improved examination results and the fact that Swindon Academy is the number one school in Swindon, and in the top 4% of schools nationally, for Progress 8 measures. Additionally, we are incredibly proud of our popular Grammar Stream provision from Year 7, which provides a unique educational experience for very able students from across Swindon.